Disclosure: This post has been sponsored by Cost Plus World Market and contains affiliate links. My opinions are all my own. I have been wracking my brain these days. My small office is just about to make me crazy. Well, I wouldn’t necessarily call it an office right now. Its more like a storage space, full of all my art and craft supplies, including half made wreaths, piles of glue sticks, and a huge pile of stencils smack dab in the middle. I’d like to say its what my brain looks like if you could see inside. You know, multiple window tabs open, too many things going on at once. That is why I am excited to show you what I have been working on. 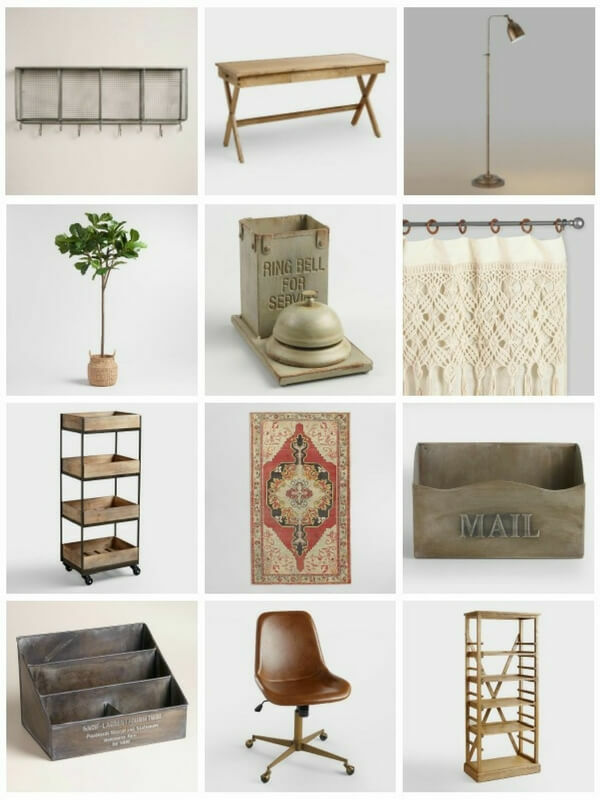 I have been brainstorming some ideas to create eclectic farmhouse office decor for small spaces. And to say I am thrilled with World Markets new small space furniture and accessories would be an understatement. They have the coolest selection of office desks, chairs, bookshelves, and other really great accessories. I am heading to my local Cost Plus World Market at West Las Vegas. You have to stop by your local Cost Plus World Market see what they have this Fall! I have found exactly what I want, and if you are looking for some eclectic farmhouse office decor, this is the post just for you! 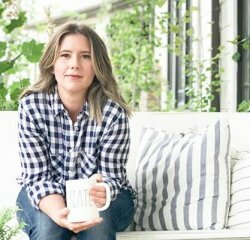 I have carefully selected some of my favorite items to create an eclectic farmhouse office. 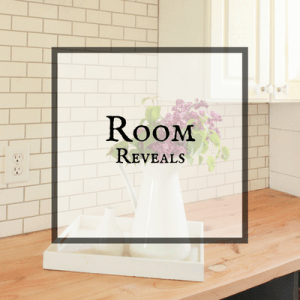 Imagine beginning with a cool patterned cement tile or wood floor. This is one part I am still working on. The key to an eclectic farmhouse office is to keep your colors neutral, the pieces unique, incorporating raw woods, leather, metals, and a bit of softness and texture. 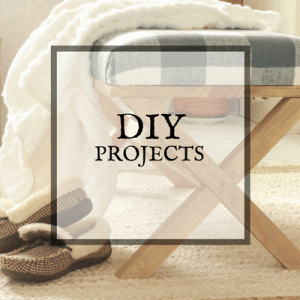 I started this mood board with the raw wood campaign desk and the vintage red Turkish rug. The raw nature of the table is exactly what I wanted to start my eclectic farmhouse office. And that rug, man, its just so perfect with its subtle yet full use of color. The combinations are beautiful. The desk is the perfect size as well. It the perfect desk for a small space. To go along with my table, the minute I saw their cognac leather chair, I was obsessed. Something I am in dire need of is a place to store all my paint, and craft supplies as well as my books. That is why I chose the wood and metal rolling cart and the campaign bookshelf. The move ability of the rolling cart is what sold me on it. Now that I had my large base pieces I wanted to add some desk organization pieces and some farmhouse style accessories. I love the St Laurent mail holder, the desk organizer, and the ring bell for service pencil cup. I love the metal accents! I think these will look lovely on my desk, and keep the space nice and organized. I didn’t want to clutter the desk too much so I chose this really great rusted pharmacy floor lamp for some task lighting. I topped off the space with some beautiful macrame curtains for my windows, a faux fiddle leaf fig tree, and a metal and wood wall storage piece. Gosh I love this stuff. Cost Plus World Market really has pulled out all the stops! Check out their great small space ideas! Don’t you just love Nicole Curtis? She is one of my idols! I love her style and I think she is super talented. Do you want to win a bunch of awesome World Market products? Check out this incredible opportunity! 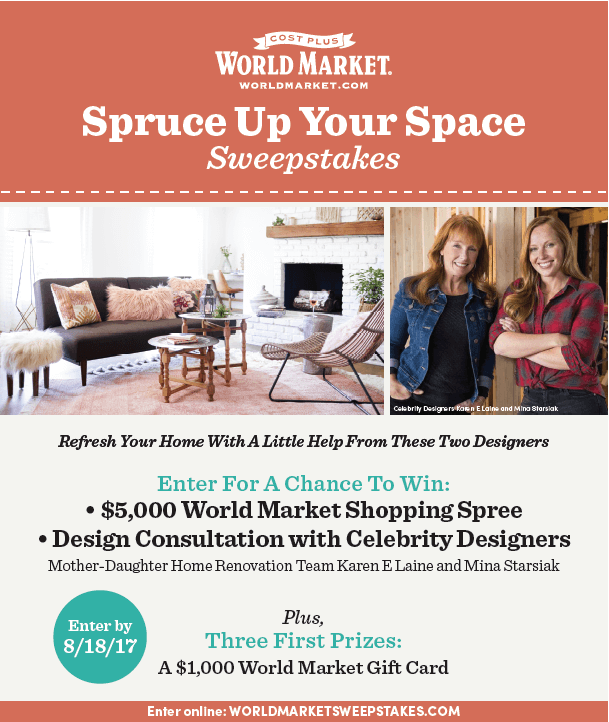 Enter for a chance to win a $5,000 World Market Shopping Spree and Design Consultation with Celebrity Designers – Mother-Daughter Home Renovation Team Karen E Laine and Mina Starsiak. If you are a fan of this great line of products from World Market, check out more of their furniture for small spaces and create the home you’ve always wanted. 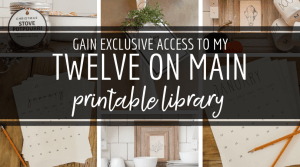 I know I am thrilled to create my eclectic farmhouse office, and I am so glad that I found this incredible collection from World Market. Whats your favorite piece? Leave me your answer in my comment section! 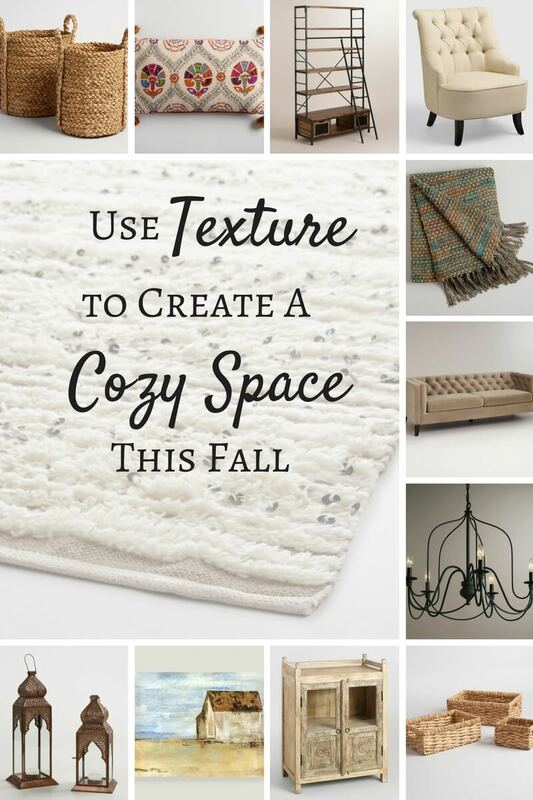 Make sure to check out this other awesome post, and be inspired for fall! 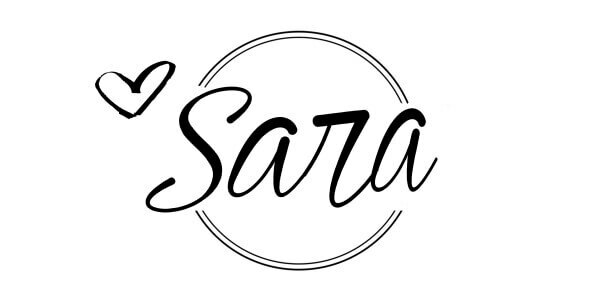 Hey Sara. Congrats on this post. I really like your choices, I kind of like the rustic feeling of the furniture that you have chosen and the simplicity of it. Loved the little accessories like the service ring bell 🙂 … nice touch ! I truly loved the designs. I´d love to have this type of designs in my house. What are some other products they have? Or do you happen to have more pictures? I´d love to see more pictures and a great post like this.